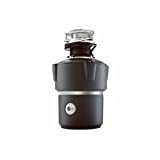 Overall, this disposer offers superior quality, ease of use, and functionality that you simply can’t get with other batch-feed, magnetic cover controlled garbage disposers. 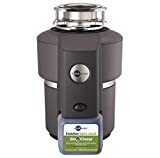 If your current disposer is in need of replacement, checking out or purchasing an Insinkerator Evolution Cover Control Plus ¾ HP Batch-Feed Garbage Disposal should definitely be first on your list. A quiet, powerful garbage disposer is a must-have appliance for any home. You need to be able to do away with the debris of meal prep and leftovers with just running water and the flip of a switch. Using a high quality garbage disposer allows you to maintain your kitchen plumbing in optimal condition. A garbage disposal keeps food waste from backing up your dishwasher drain as well. Thanks to its powerful motor and innovative design. Insinkerator Cover Control Plus Evolution ¾ HP Garbage Disposer makes an excellent addition to any kitchen sink. This batch-feed garbage disposal is the best garbage disposal of its type available. 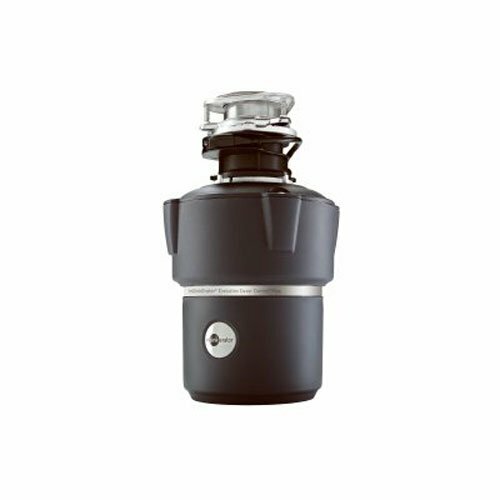 If you find a batch feed garbage disposal the most suitable types of garbage disposal, this is for you. 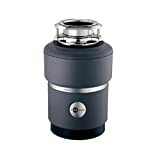 What sets this Insinkerator model apart from the many other garbage disposer options available? Here’s some excellent reasons why the Cover Control Plus Evolution should be your first choice for your home. This garbage disposer really brings the heat when it comes to overall grinding power. It’s unique induction drive virtually eliminates any need for routine maintenance. Also, at ¾ horsepower, there isn’t too much in the way of food waste that this Insinkerator can’t grind down to a fine paste. Extensive testing and years consumer feedback have proven that Insinkerator’s 2-stage MultiGrind system can break down just about every kind of food waste, from chunky plant roots and waste to small bits of bone. Better still, all grinding components are stainless steel. Therefore, they won’t rust or require sharpening or replacement during the lifetime of your disposer. As powerful as this unit is, it is also remarkably quiet. 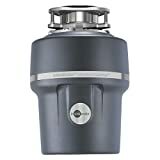 With the cover in place for grinding, the sound of this disposer can easily be drowned out by the sound of running water. Anyone who has ever had to do late night meal cleanup will definitely appreciate the ultra-quiet operation of this particular disposer. When using most traditional open top garbage disposers, there is always a risk (no matter how small) that objects can fall into the disposer during operation and become mangled in the grinder. Silverware, dish rags, sponges, and even hair and clothing are all at risk when using an open top garbage disposer. Fortunately, the Cover Control Plus Evolution disposer only activates when the magnetic cover is placed over the opening. This completely eliminates the possibility of anything being caught in the disposer after it has been turned on. It also makes for easier installation since no wall switch needs to be installed to control the disposer. All you have to do is load up the disposer with your food waste and pop the cover into place. The disposer will take care of the rest. 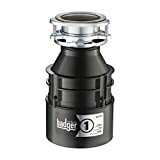 Now that we’ve looked over the features that make this garbage disposer and excellent value, let’s take a minute and weight the benefits and drawbacks of owning this garbage disposer. These garbage disposers are built like main battle tanks. They are extremely durable inside and out, virtually rust-proof, and possess an exceptional reputation for long term reliability thanks to the quality of the materials used in their construction. The noise level (or lack thereof) when this disposer is running is downright impressive, and it really is hard to believe that it has as much grinding power as it does. If your old disposer was a noisy garbage monster, the Cover Control Plus will definitely be a refreshing change of pace for you and your household. A garbage disposer that prevents foreign objects from becoming entangled in the grinder? Sign us up! The fact that you don’t need a wall switch is also a nice bonus, especially for those who aren’t fond of DIY appliance installations involving electrical work. The Quick-Lock mount is great if your previous disposer used the same mounting system. If it didn’t, you are in for some extra work. While the ability to simply twist the disposer into place is a definite advantage, the weight of the Cover Control Plus may make it a bit unwieldy when you are actually locking it into place. Many homeowners are used the continuous feed disposers that require you to run water while they operate in order to clear waste from the mechanism. Batch-feed operation disposers only need you to run water between batches, not constantly during grinding. Some users may find this a bit confusing/frustrating if their previous model was a continuous feed model.